We, HARUNA Inc., have provided many fluorine related products to our customers in the various fields since 1955. Continuing in the 21st century, we contribute to comfortable society and harmony with technology and the environment. We pledge every effort to provide the highest quality products. pumps, electromagnetic valves, air valves, piping joints, etc. O-rings, gasket packing, sheet, tube, diaphragms, rubber base coating, adhesive, etc. ● 5 minutes on foot from Ushigome Kagurazaka station on the Oedo Line. 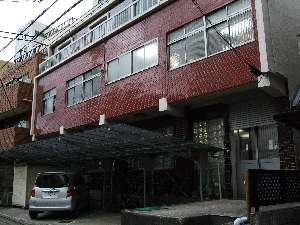 ●12 minutes on foot from Kagurazaka station on the Tozai Line. ●20 minutes on foot from Iidabashi station on the JR Line.